The Secretary of the Navy has decided the former head of U.S. surface forces will retire as a two-star rear admiral not a three-star vice admiral, according to two sources familiar with the decision. 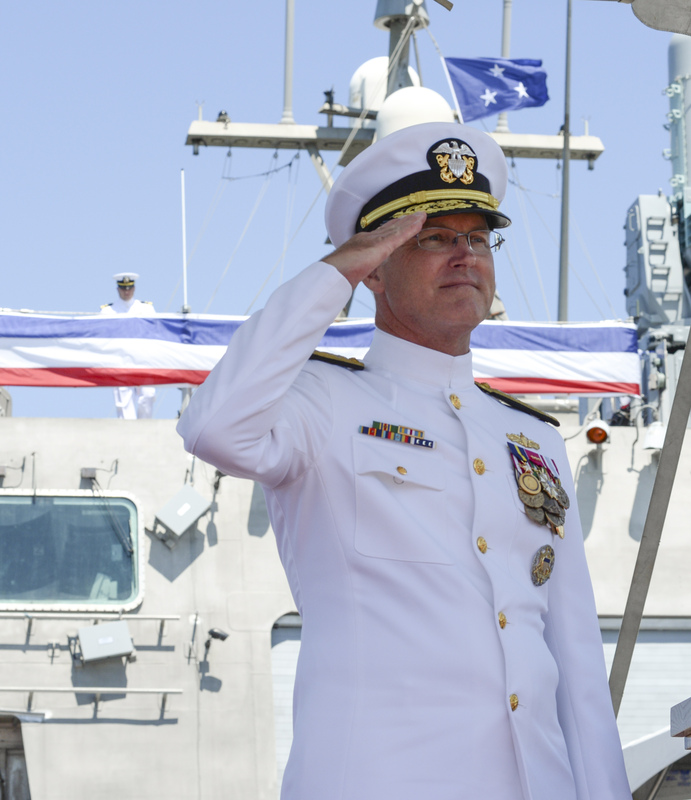 Vice Adm. Tom Rowden was recommended to be retired as a rear admiral by Richard V. Spencer last week, and the final determination for Rowden’s rank is now before Secretary of Defense James Mattis, one source told USNI News. Rowden’s retirement determination is considered a punitive measure for his role in the conditions in the surface force that contributed to the fatal collisions of USS Fitzgerald (DDG-62) and USS John S. McCain (DDG-56) that resulted in the deaths of 17 sailors last year. A representative for Rowden did not immediately respond to comment. Navy spokesman Cmdr. Bill Speaks said the service would not comment on personnel recommendations before they were final. Adm. James F. Caldwell, the officer in charge of disciplinary actions related to the collisions, recommended that Rowden be retired early from his position as the as commander of U.S. Surface Forces (SURFOR) and U.S. Surface Force Pacific (SURFPAC) in January. Caldwell reported his findings to Chief of Naval Operations Adm. John Richardson and other Navy leaders that included unspecified disciplinary actions for Rowden that resulted in the early turnover, several sources confirmed to USNI News at the time. In addition to Rowden, former U.S. Pacific Fleet commander Adm. Scott Swift and former U.S. 7th Fleet Commander Vice Adm. Joseph Aucoin retired early as part of the fallout from the collisions.